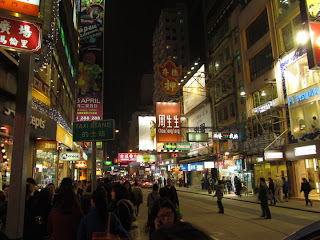 The HK trip was my son's first trip abroad. He was so excited that the first night, he asked permission if he could walk along the streets of Tsim Sha Tui. "Go ahead! but take my mobile phone in case you get lost", I said. I guess my son had a field trip as he wove in and out of the side streets in between Nathan and Chatham Roads. He said he sampled a lot of street food and found bargain shops. He even thought of buying his dad new pool sticks as he chanced upon a small shop that sell billiard stuff. The highlight of his "walk" was when he went inside a store that he thought sold Cosplay costumes. Oh, how wrong he was!